I have gone on tour with the chamber choir Les Métaboles to the French Flanders region for three days at the end of April. We were giving an olfactory concert there. The concert was "olfactory" because we had come with a perfume artist who had created four perfumes to be smelt with the music we were singing. The perfumes had been crafted with the four seasons in mind, as the sequence of seasons also transpired from the music of our programme. 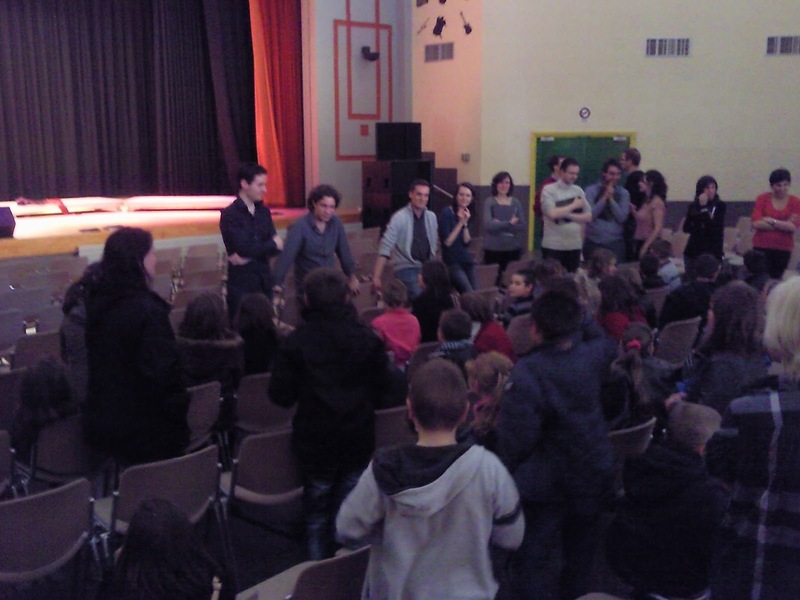 However, the highlight of the tour for me was the educational concert we gave to several classes of kindergarden and early primary school children in the small town of Bourbourg. 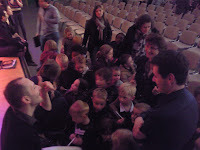 Though the audience was extremely young, I found that the children were very attentive to the music, listening to the words and reacting to the cues we had asked them to search for in it. 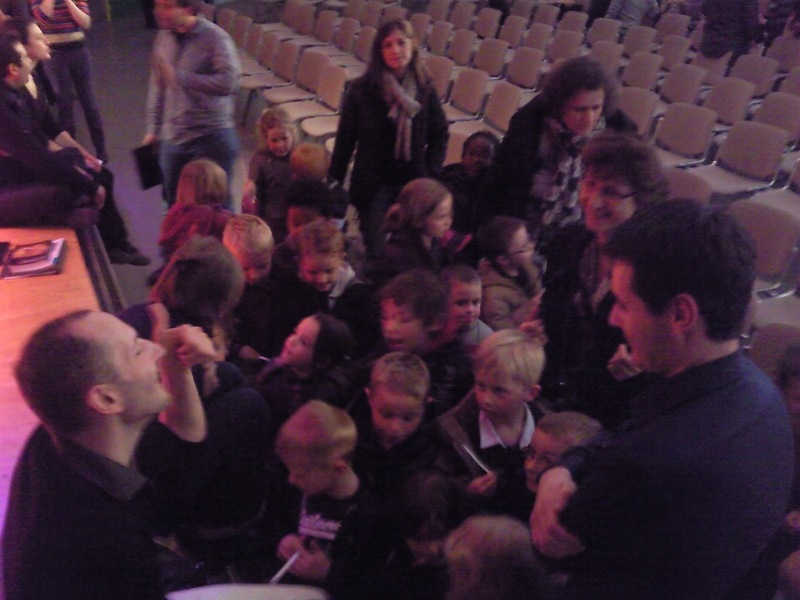 The children also witnessed the olfactory side of the concert as they each received a sample of Autumn. The choir then sang a piece which was supposed to go well with this scent but we did not get any applause... The children were visibly too engrossed in their perfume sample to pay attention to the music as well. 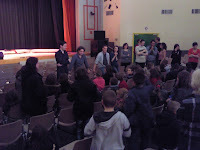 The singers and perfumer mingled with the children after the concert. The children even sang a few songs in return as they are being coached by Rémi Aguirre, a professional singer who sings with us in the choir. 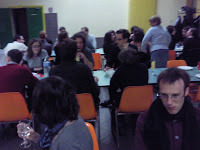 The whole tour was organized by the association Des voix en Flandres, which promotes choral music for people of all ages in the rural areas of the region. We were hosted by the association's members, enjoying the food they had prepared for us, and staying in their homes. 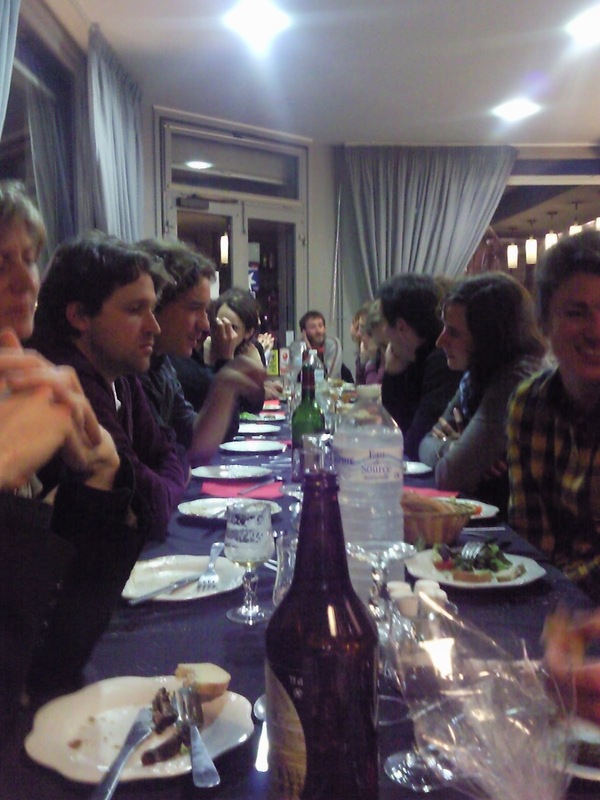 The tour ended with a banquet of traditional food from the North of France.